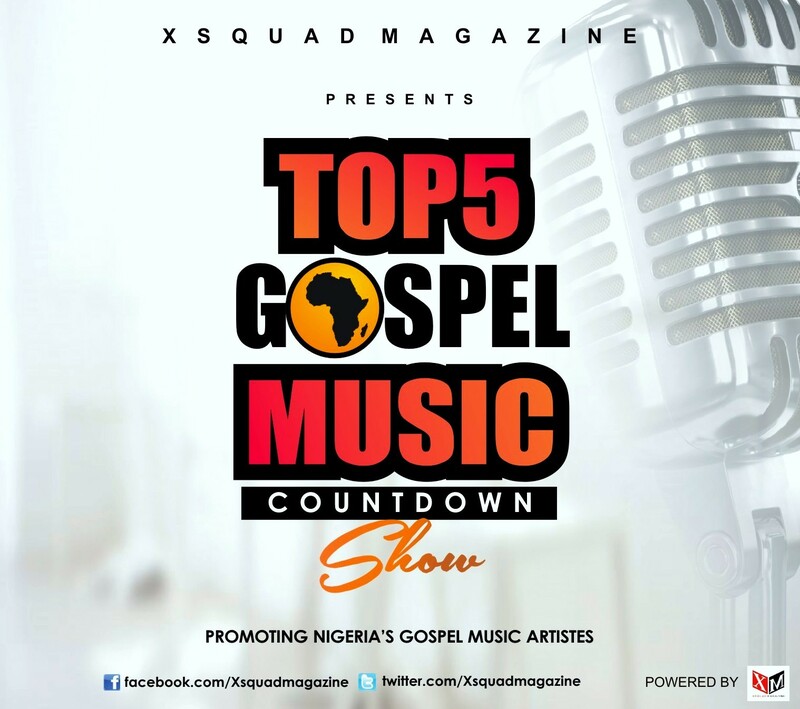 South-South leading Entertainment Magazine Xsquad Magazine presents weekly Countdown show aimed at projecting Top 5 Gospel Songs in the Nigeria’s Gospel Music Industry and beyond. Xsquad Magazine (XsquadMagazine.com.ng) is one of South-South’s Entertainment Magazine who is committed in celebrating achievers in the entertainment industry by promoting their brands as well as working with both singed and unsigned Artistes in distributing their digital contents while giving them massive online promotion in their various projects. “TOP 5 GOSPEL MUSIC” Countdown Show according Xsquad Magazine head publicist, Mfonobong Robson is a weekly Music Countdown Show where Top 5 Gospel songs from Signed and Unsigned Gospel Artistes in Nigerian and Africa at large will be premiered on its prestigious website XsquadMagazine.com.ng for a massive downloads by not just Gospel Music Fans but lovers of Good music Worldwide. The philosophy behind this project according to a press statement made available by the Head Publicist, Mfonobong Robson is to contribute to the Gospel Music Industry in promoting Gospel Music in Africa which in recent times have been neglected. Mfonobong Robson also added that the Countdown Show will go a long way in projecting Gospel Music and Gospel Artistes in Nigeria as their songs will be heard and downloaded in this platform from different parts of the world. Note: Only Songs well produced and mastered will be preferred after review by our Team. 2. Provide your Twitter/Instagram Handle and facebook page for easy trend/notifications. 3. Like Our Facebook Page: www.facebook.com/Xsquadmagazine and follow on Twitter: @Xsquadmagazine. 4. And keep login on to www.xsquadmagazine.com.ng to check your favourite TOP 5 GOSPEL MUSIC of the week. Meanwhile, Gospel Artistes in need of a massive online promotion should call: +2348136042561. 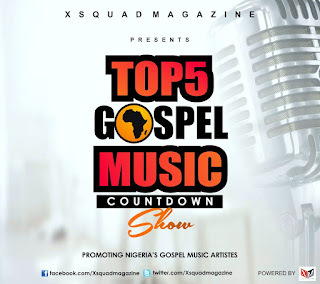 For further details about “TOP 5 GOSPEL MUSIC” countdown Show, call +2348136042561. Connect with Xsquad Magazine on Twitter: @XsquadMagazine and like fan page: www.facebook.com/Xsquadmagazine.